When Cadillac President Johan de Nysschen did his “Ask Me Anything” session on Jalopnik yesterday, he let drop some pretty big news that merits some further discussion: namely, that someday, some CT6 model might be propelled by a twin-turbo V8. Like the guys at Car and Driver, we anticipate that this would be in a “V”-badged performance variant, and in all likelihood, a V8 recycled from some other GM brand – don’t expect Cadillac to start rolling out a unique engine family anytime soon. Johan de Nysschen’s statement could conjure a twin-turbo LT1… or a much more enticing theory put forth by C&D, it could mean a forced-induction version of a new DOHC V8, like the one they forecast powering the mid-engined Corvette C8. At any rate, coupled with Mr. de Nysschen’s suggestion that a spiritual successor to the Cadillac XLR performance roadster could arrive in the early 2020s, the talk is all titillating enough to drum up some buzz – and hopefully, turn some of Cadillac’s haters into believers. Do you think we’ll ever see Cadillac exclusive engine again? Namely a flag ship Cadillac only V8 like the Northstar? We already have an exclusive Cadillac engine — the Cadillac Twin Turbo V-6. We are currently developing a new powertrain lineup, which will include a very sophisticated and advanced twin-turbo V-8, as you describe. In other displacement sizes, where it is not feasible to develop a unique Cadillac engine, there will be significant technical differentiation impacting things like power characteristics, NVH, refinement and power to ensure that Cadillac engines remain at the forefront of their competitive set. GM green lighted a new line of Cadillac engines and we will see engines that are pure Cadillac. Now How they will do that I am not sure but they will not be reconstituted Chevy engines. I have been watching to see if Cadillac joins forces with an engine firm like Cosworth or even Ilmore to build engines for their line up. A partnership like this would not only help cover cost better in lower volume of engines but would also add to the Cadillac line a engine with a pedigree. I would not term this like the Northstar as that was a cluster when you really look back at what happened. There was a lot of quality issues and problems from the cheapening of the engines at a point GM did not have the money to do it right. I do expect DOHC and Turbos across the board. If I had to guess we will see a 2.0 4 cylinder. 3.0 V6 and a 4.0 V8, These sizes are key to better performance in economy, power and NHV. This is why you see most companies all using the same size engines with a Turbo now. Now just because it is a 4.0 V8 do not think it will be down on power as a smaller higher rev V8 like this with Bi turbo set up can be as powerful as the present CTS V SC engine. The key is if you want to sell Cadillac to the upper end you have to give them what they expect. Technology like this brings an aura of exotic image and not something your buddies got under the hood of his pick up truck. While the Chevy engines are great engines people in this class expect more. To some that Chevy engine is like the HHR steering wheel in the ZR1 [If you have not looked the HHR SS used the same Wheel]. For the kind of money they are going to spend they want something more than Chevy bits. I know you can toss out all the advantages of the Chevy but that matters little to this class at this price point. These folks want more than a Camaro engine. 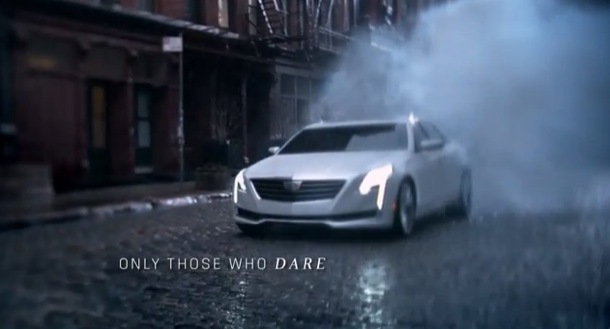 Absolutely agreed on that point; the word “pushrod” sends shivers down the spines of just about every member of Cadillac’s target demo, I’m sure. Leastaways as it applies to valves. It’s really not about how good the LT1 is, but rather, people’s expectations from a car in the luxury segment. The engine deal is what it is. As for now they will have to be innovative with what they have like the 3.0 TT, 3.6 TT and the 2.0 T. I feel even if they dressed them different than just slapping on a plastic over them it will make them appear much more advanced and expensive. Stainless bolts and powdered coating can go a long way like on the ZR1 engine. The other engines were just a recent deal and will take some time unless GM has some unrealized plans. The next deal is to be able to build them in small number on their own like the ZR1 and Z06 engines or to partner with a engineering house that would add the name of a racing firm. You have to look at Cadillac as a farm crop. You buy the best seed, you weed and fertilize with the proper feed tending to it. Then you have to wait for things to happen as time goes along and you should reap a fine harvest. If you rush it and harvest too early you can end up with a poor harvest and poor quality grain. Cadillac is a long term deal and GM knows it. While their segment makes up about 12-15 percent of the market it makes 50% of all car profits. That is why GM is investing as they are in Cadillac and being down several hundred units in sales of a CTS are not a panic situation. This is a deal that once it is done it will return the money in vested very fast but you have to be willing to go all in. Ford saved Lincoln because of the profit potential but it remains to be seen if they will fully commit to making Lincoln what it could be but still is not. Fiat has given up on Chrysler and they will remain a Genesis fighter. Actually, the 2004 – 2009 Cadillac XLR was a convertible – not a coupe. I hope the CT6 is not chunky like the XTS. Maybe the same V8TT will power the Zora.